Sergio Pininfarina died overnight on July 3 at age 86. A master of Made in Italy design, Pininfarina is the man behind the international success of Carrozzeria Pinin Farina, the family bodywork shop opened in the 1930s that became the world’s most influential car design atelier. Entrepreneur Sergio Pininfarina died overnight on July 3 in his residence in Turin. He was 86 years old, his health conditions had dramatically worsened over years. Born in Turin on September 8, 1926, he was the son of Gian Battista, also known as “Pinin,” (or “little one” in Turin’s dialect) Farina. 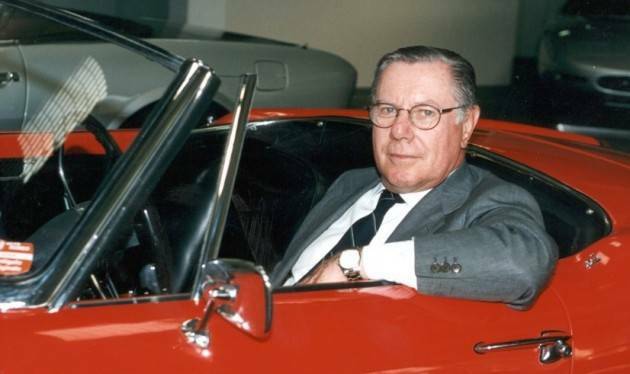 His father was the founder of “Carrozzeria Pinin Farina,” the family car design house that since the 1930s produced some of the world’s most innovative car designs, including most Ferrari models since 1952. A graduate in mechanical engineering from Turin’s Polytechnic University, Sergio joined the Carrozzeria and established important connections with other car design houses such as the French Peugeot, Rolls-Royce, Maserati, Lancia and Alfa Romeo. Sergio was responsible for most of the Ferrari design projects, and during his fifty years of leading the company he turned the family’s craftsman business into one of the world’s most influential and renowned design houses, multiplying the production from 524 units per year to more than 50,000. A staple of Made in Italy style, Pininfarina insisted on the importance of aerodynamics as the game-changing element in car design, making performance and aesthetic refinement the two main goals of the Turinese atelier. For this purpose, back in 1972, the Pininfarina Research Center in the Grugliasco plant was equipped with a wind tunnel for the study of aerodynamics, one of the first in the world and the only one in Italy to be in 1:1 scale. 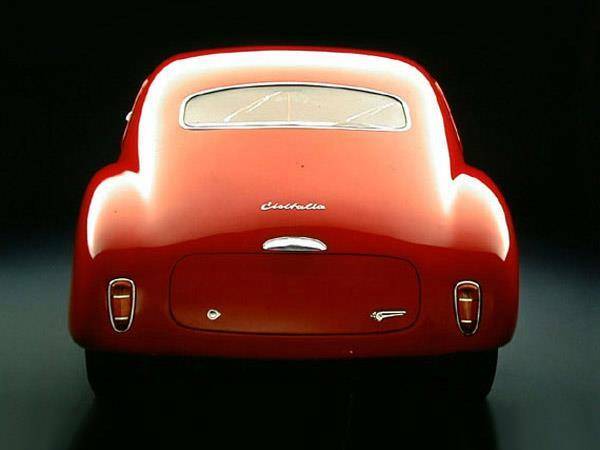 The Pininfarina shapes and lines made the history of design as testified by the fact that an exemplar of the 1947 Cisalfa Coupe by Gian Battista can be seen today at the MoMa in New York. 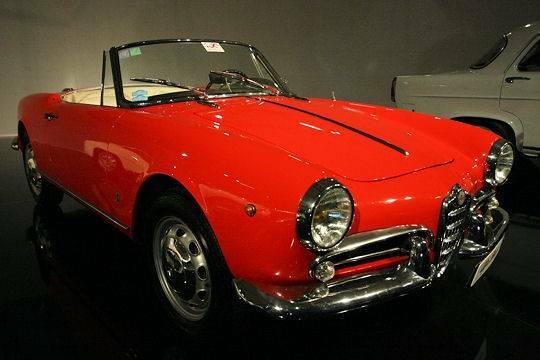 Among the most famous car designs which wore the Pininfarina badge are the Giulietta Spider by Alfa Romeo, the Alfa Romeo Spider Duetto, the Lancia Flaminia, the Lancia Flavia Coupé, the Fiat Dino 246, the Fiat 124 Sport Spider and the Fiat Dino Spider. Also worth mentioning are the 1963 Chevrolet Corvette Rondine, the 1986 Cadillac Allante and the 1995 Bentley Azure. Sergio designed the 1986 Fiat 124 Spider, the 1984 Ferrari Testarossa, the 1975 308 GTB (Magnum P.I.’s legendary car), the 1996 Peugeot 406 Coupe, the 2002 Ferrari Enzo, the 2003 Maserati Quattroporte and the 2004 Ferrari Scaglietti. 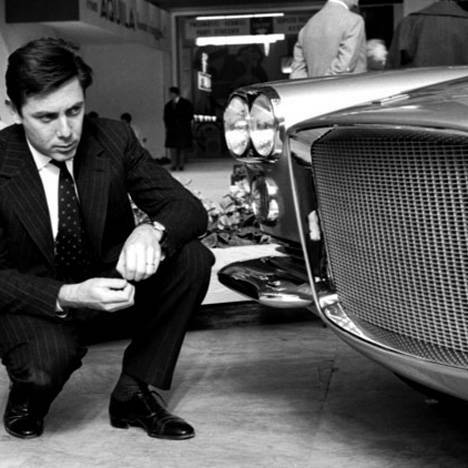 The prestige he was credited with was such that in 1961 Sergio changed his surname into “Pininfarina,” adding his father’s nickname to his original last name, thanks to a Decree by then President of the Italian Republic Giovanni Gronchi. In the same year, Sergio Pininfarina also became CEO of the Carrozzeria and Chairman after his father’s passing in 1966. He held these positions until 2006, when he was nominated Honorary President of the company. In 2005, Sergio Pininfarina was nominated “Senatore a vita” (an honorary member of the Italian Senate, with lifelong mandate) by President of the Republic in September 2005. Vannino Chiti, Vice-President of the Italian Senate, told the Italian press that “With Pininfarina we lose a protagonist of our country. I want to remember his historical entrepreneurial commitment that honored the name of Italy internationally, and to commend his political engagement since the nomination as Senator.” Pininfarina also previously represented Italy at the European Parliament from 1979 to 1988. Pininfarina leaves his wife Giorgia and the sons Lorenza and Paolo. In 2008, he suffered the loss of his son Andrea, who had been leading the company from 1983. Andrea died in a car crash in the vicinity of the Pininfarina plant in Cambiano, Turin. He was 51 years old.